With the Barah Puran entailing its mighty tales, the elevated Damodar Kunda is carried with an antique manifestation! Damodar Kunda is quite prominent since it is counted amongst the most passionately worshipped lakes which are spotted by the pilgrims while being a part of their divine walk to reach Mount Kailash. The Damodar Kunda Lake is much renowned especially amongst the population belonging to Hinduism and it is clipped in the Himalayas at the Annapurna’s northern side Mustang District sandwiched between Muktinath and Kagbeni where the rain pours at its best. Lying at an elevation of 5400 metres, the serene surroundings of this miraculous lake despite of being quite cool as well as windy have made the place vibrantly beautiful and ‘worth a visit’. As portrayed by the sacred Barah Puran, the Damodar Kund is accompanied with the utmost spiritual importance and apart from this, as confirmed if this lake is being talked about, it would be almost impossible to mention the River Kaligandaki. This water body is recognised as the source of Kaligandaki River and also, you would be awestruck to know that while flowing towards the south in direction of the Indian border it facilitates an exhibition of the almighty Lord Vishnu in which the Damodar would be acting as his head, Shaligram Chakra as chest, Palpa’s Ruru Kshetra as the waist, holy Muktinath as his mouth, Gajendra Moksha devadham as his feet and finally the Devaghatam as the Knee. Witnessing such a ravishing portrayal of Lord Vishnu can only be seen in the lakes which are an indispensable part of the Damodar Kund. This whole description has been uttered by a column of the Barah Puran. On the other hand, the second column of the Barah Puran entails some sayings uttered by Lord Vishnu in which he has clearly stated that any person who takes a holy bath in the pious water of the Damodar Kund, is surely going to be freed from the sins associated with him/her whether they are of his present life or any life from his/her previous birth. Not only this, but it has also been indicated in Puran that thousands of years ago, the two sons of Kuber who were experiencing the negative results of their sins which they would have performed during their previous birth and in order to free them from the same. Lord Vishnu advised them to take some holy dips in the Damodar Kund and also, as a conclusion of which they were finally liberated from each and every sin of theirs. While describing the religious significance of Damodar Kund, it is really noteworthy that its greatness can never be defined in just a bundle of words. Its admiration would really need a long list of words but still they wouldn’t be enough. Once you are here, you would never want to come out of the calmness that lies in the environment of this lake. While being here, you are going to have some sights of the spectacular views from this place and on moving at a bit higher elevation after a short climb up the hills surrounding this lake, you are literally going to fall in love with each and every bit that lies here. Enjoy the heart stealing and the scenic views of the Tibetan plateau with the Annapurna Himalayas lying to the south and the gigantic Damodar Himal to the north. The Himal range is known to be an agglomeration of 65 peaks. Mentioning on when to visit this place, it has to be known that Damodar Kund is not opened for the visitors all throughout the year since the weather conditions in and around its area is not favourable during the whole year. Thus, you can visit this lake during the months from April to September. However, August’s full moon tenure is considered to be the best time for the visitors to experience the divinity of this lake. Also, during this time you can also spot a grand festival being celebrated with utmost zeal and enthusiasm especially by the Hindus as well as the Buddhists. 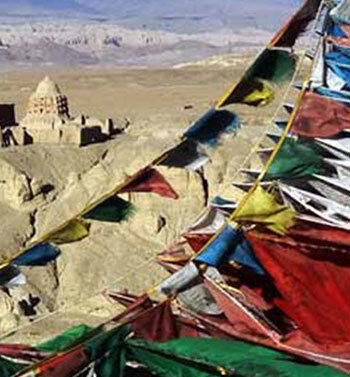 The hidden kingdom of the mighty Himalayas, Mustang is here to let you have some enjoyment of its highly antique culture that is much better than that of the Indian Subcontinent. Also, this lake is surely serving as a dream lake for majority of the pilgrims who are looking forward to the attainment of inner satisfaction. 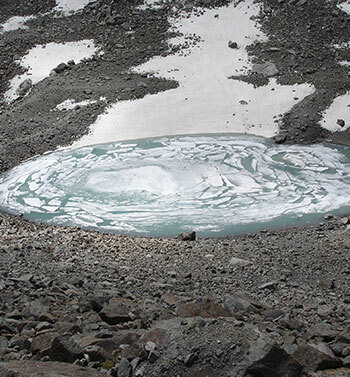 Damodar Kund is accessible both by trek and helicopter and for all those who are seeking to visit this lake by trek on foot/pony can come here during June. On the other hand, those visitors who are want to indulge in a helicopter ride for visiting the Damodar Kund can have its experience either during April or September. 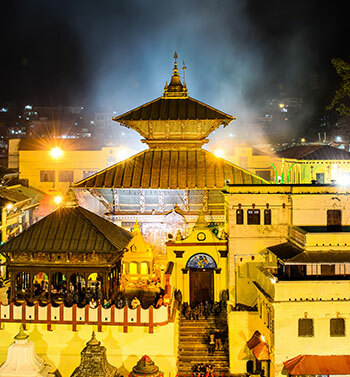 Pashupatinath is a Hindu temple stands in the center of the town of Deopatan, in the middle of an open courtyard on the banks of the Baghmati River, the village is 4 km far away from Kathmandu in northwest. It is devoted to a demonstration of Shiva (Lord of Animals) called Pashupati. It is not known for certain when Pashupathinath was founded. Convention says it was built by Pashuprekkesha of the Somadev Empire in the 4th century BC, but the first historical records date from the 14th century. Next to the Sutlej River on the north bank, the Tirthapuri Hot Springs fill the infertile backdrop for this area with steam. 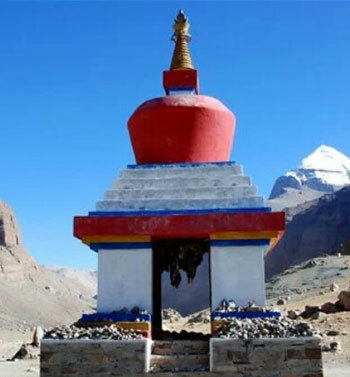 Devotes normally visit Tirthapuri after the Kailash pilgrimage this is also considered that Kailash Yatra is incomplete without Tirthapuri philosophy. They go for a dip in pools fed by the sacred springs as they visit the cave and monastery associated with Guru Rinpoche. Prayer flags stretch across the river gorge and chortens (stupas) add color to the landscape. OM Parvat is the magical and inspiring Himalayan mountain peak that rises to an altitude of Om Parvat Hindu mantra6191 m lying in the Darchula district. 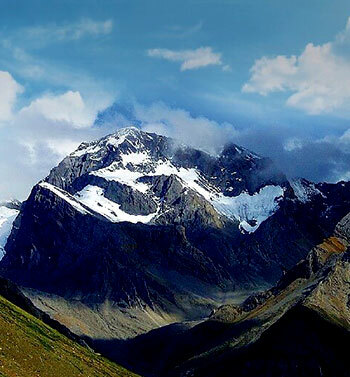 It is known by various names such as Adi Kailash, Chhota Kailash, Baba Kailash and Jonglingkong. 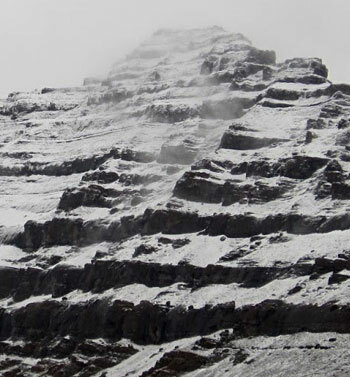 This mountain is famous for the miracle of nature as it poses an impression of OM naturally which is formed with deposition of snow against black background of the mountain. The lake of the Demon. 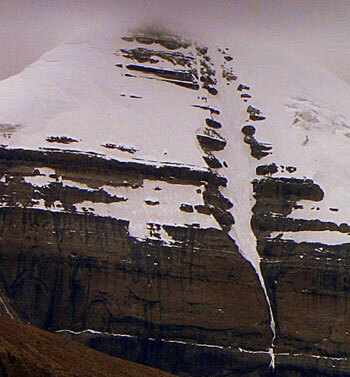 Rakshas Tal is situated west of holy Lake Manasarovar near Mount Kailash. The river Sutlej originates from the north-western tip of Rakshas Tal. 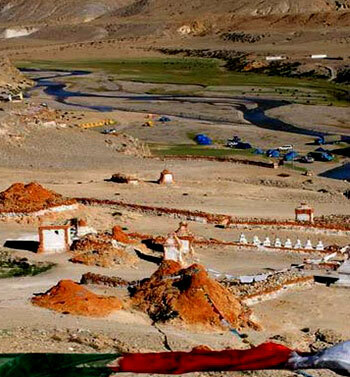 At the height of about 4752 meters (15,591 ft) the Lake Rakshas Tal covers an area of 70 sqkm. It is believed that once the Lake Rakshas Tal was the adjoining part of Lake Manasarovar and plate tectonic played role in separating them. Even today these two lakes are connected with a small water channel called Ganga Chu. 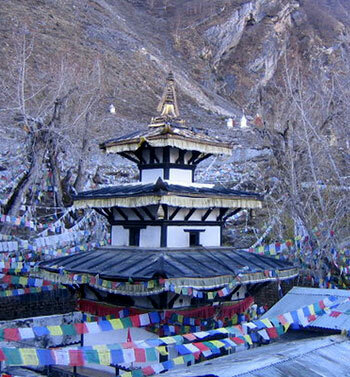 Located at an altitude of 3,610 meters (11,872 feet) at the base of the Thorong La mountain pass in the Mustang district, Muktinath is a highly venerated sacred place for both Hindus and Buddhists. 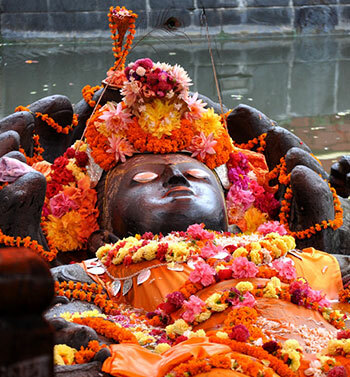 Hindus call the site Mukti Kshetra, which literally means the "place of salvation" and it is one of the most ancient temples of the God Vishnu and the Vaishnava tradition in Nepal. Behind the temple is a semi-circular wall with 108 stone faucets at a height of seven feet. The highly devoted Yatra to reach the ultimate Heavenly abode of the almighty Lord Shiva i.e. 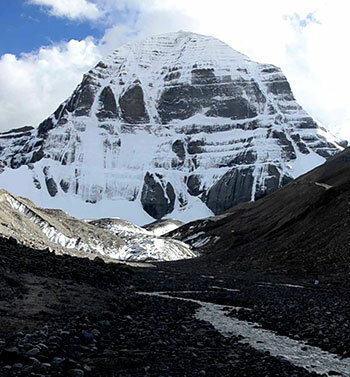 the Mount Kailash is counted amongst the most difficult terrains of all times. But, its results are undoubtedly fruitful. There is an existence of many important spiritual destinations spotted in between the Kailash Manasarovar Yatra which have to be visited by the devotees who are a participant in this Yatra. 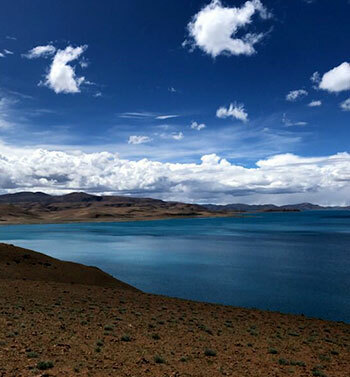 The holiest lake of Tibet and also considered to be the world’s highest fresh-water lake, Lake Manasarovar is clipped in the far western Tibet Ngari Prefecture that is known to be ‘not so far’ from the Mighty Mount Kailash. 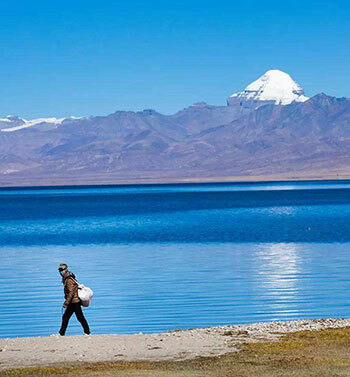 This invincible lake is no less than a ‘Spiritual Satisfaction’ for the thousands of pilgrims who are an active participant in the Kailash Manasarovar Yatra.